Brrrr! It's cold this week! Really though we are spoiled because it isn't that cold compared to the rest of the state. But for us it is chilly! 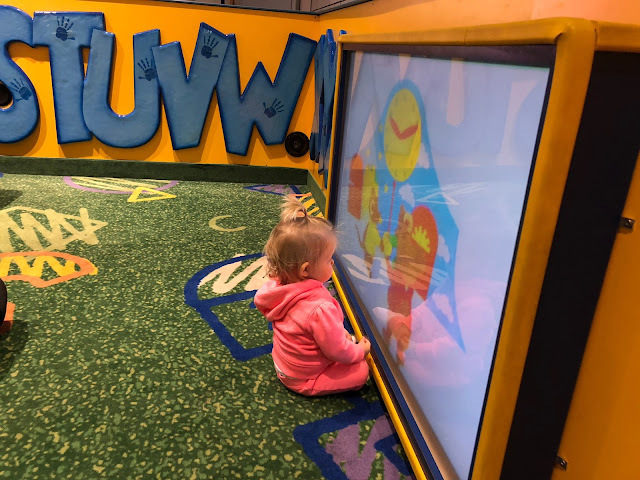 Here are 5 of my favorite indoor spots for my little girl to keep out of the cold but keep her entertained. 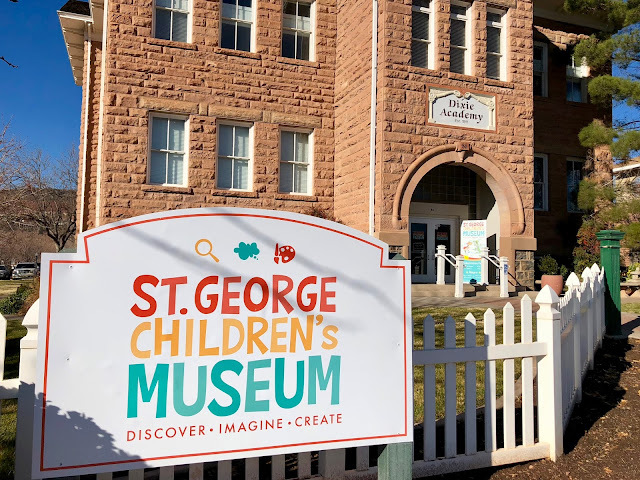 This is a fun place for kids to discover and learn! It is probably best for ages 3 and up but my 1.5 year old has fun there too. There are different themed rooms throughout the entire place. So much to explore! 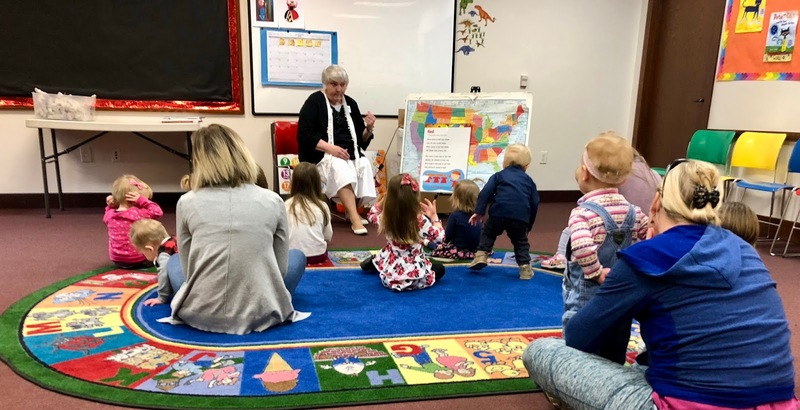 All of the libraries in Washington County have story times. They are usually about an hour. They spend time singing, listening to stories, dancing and coloring! It's one of my favorite places to take my little girl. You can find the story times by clicking here. Spend your time roaming the stores and letting your little one walk up and down the long hallway. Then stop by the play place for them to have even more fun! This is something fun for mom and child! 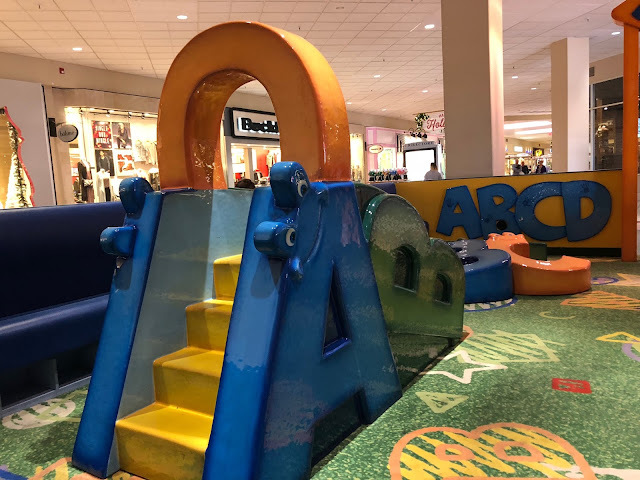 Mom can do a little shopping and after that the little one can play with the slide, big tv and climb on all the play equipment. 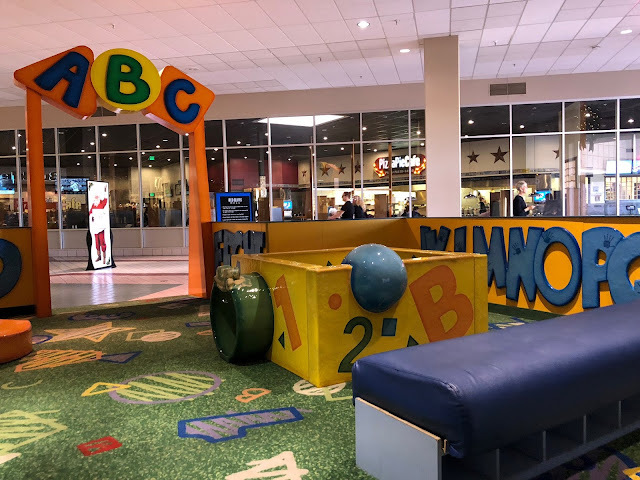 The play place is located at the main entrance of the mall across from Pizza Pie Cafe. Let your little one play the arcade games or just walk around and explore! There are little kid play areas in the bowling section. 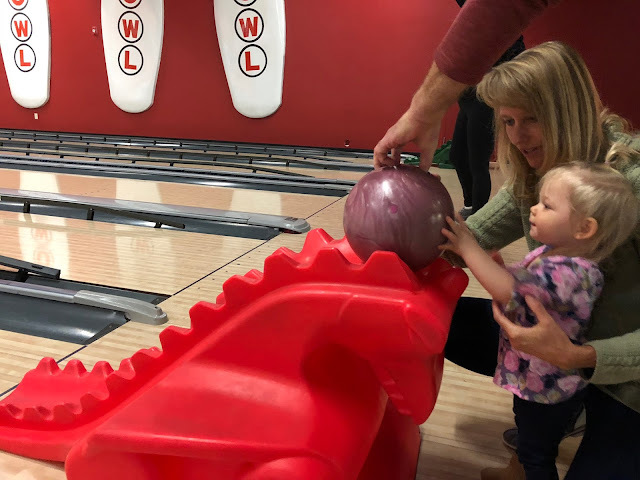 They also have the cutest dinosaur bowling helpers for little ones. This is a fun, peaceful place to spend your time. They have a section in the back of the visitors center with TVs that tell different inspirational messages. There are lots of buttons your little one can push to make them play!